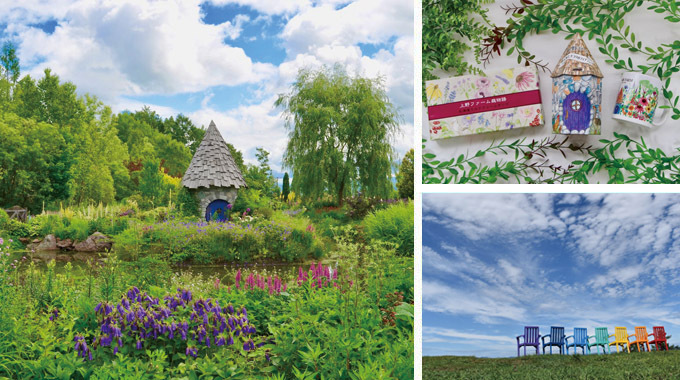 It is a garden that is making a garden mainly of the part of the shrine that blooms from the four seasons, considering the garden that plants growing in the climate of Hokkaido create, such as flowering season unique to northern countries and bright flowers. Garden shops that handle seedlings and gifts are also popular. A garden like a field spreads on the slope of the shooting mountain which can climb from the garden, and the countryside view can be seen from the summit. The original sweets and herb tea which the flower picture which mother drew by Ueno Farm's first garden became wrapping paper is very popular as a souvenir. 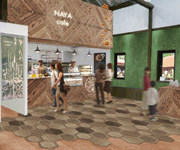 20194-11(wood) Ueno Farm XNUM X Garden Open Information! 20186-2(soil) Garden event! 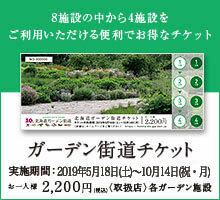 Ueno Farm's "Bundling Summer"
20185-31(wood) Beautiful body make-up walking while enjoying the early summer garden! ! 20177-18(fire) Ueno Farm Special Flower Event!